Victor is an assassin for the CIA. He becomes connected to the Agency in the second book while in the first he is a freelance killer, one with many, many years of experience at his trade. He likes his freedom and his anonymity but often you cannot get what you want and Victor has learned to survive above all else. He has had to because he works alone and usually in considerable secrecy. He seems at times to prefer it though other times he does think how it would be to live a 'normal' life. Do not expect a great deal of angst in that regard, however. He does not spend any appreciable amount of time bemoaning his situation. Being a survivor, he makes do and goes on living. The same cannot be said for his targets. Victor is extremely capable when it comes to killing and he rarely misses and never a second time. He is methodical and extremely careful, going to great lengths to have escape routes clearly defined before stepping into the fray. Victor does not have a last name, at least one we are told. He has a near-endless supply of aliases, all bought and paid for, so he can change identity quickly and easily and does so frequently. He does not have the same face all the time having spent more than one session with plastic surgeons. At one point he wondered if he could even remember what he once looked like. And he does not have, or so we come to realize, a nationality. He is white and that is about the most that can be said. His knowledge of languages and dialects and accents is superb as is his ability to switch between them easily. To some he is French, to others German or Slavic, and to others he is English. Some consider him American. The readers do not get any more clues than the characters he encounters. In the opening book he is working to the CIA but not knowingly, even by the Agency [you need to read it to understand]. 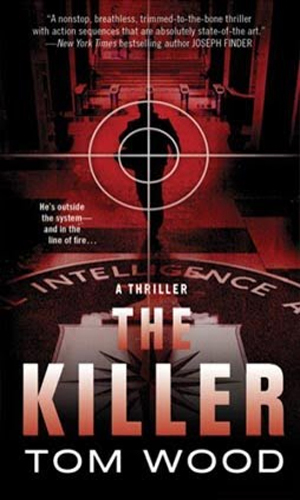 In the second book he is definitely under the control of a major official inside Central Intelligence but it is an off-the-books operation and not officially sanctioned. They refer to him with the name Tesseract but it is more of a codename than anything else and when he learns of the epithet, he is less than pleased. He is also not thrilled with having to work with such a public organization because secrecy has been his best defense. Nevertheless, he knows that bucking the CIA and their thousands of employees and billions of dollars would not be a wise move. 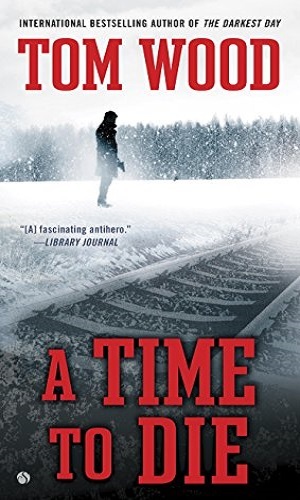 Victor is hired to kill a man selling information on a sunken Soviet warship but after doing the job, he finds seven assassins waiting to kill him. They fail and he wants to find out why they were sent and how they knew about him. No longer a freelance assassin, Victor is working on contract for the CIA. His new mission is to take out three different people but the further into the mission he gets, the more complicated the situation and the less clear the objective. Having just completed an assignment, eliminating another assassin, Victor is surprised when the CIA ask him to work again immediately. The job is to take the role of the dead killer to see who his next target was. Victor is certain a request for a meeting from an old friend/enemy was a trap but it was really a request for help. The man has a deadly enemy out to destroy all he loves and Victor is asked to protect the man's adult daughter, turning an assassin into a bodyguard, not a task Victor is used to. Victor has a target and he is closing in on his objective. He also learns he, too, is a target and narrowly avoids dying. 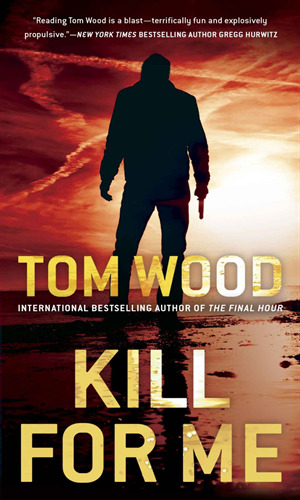 To stay alive he must determine who the expert killer hunting him is, why, and how he can stop that person. Victor has never been a team player - he has always been a loner who only has to worry about himself. 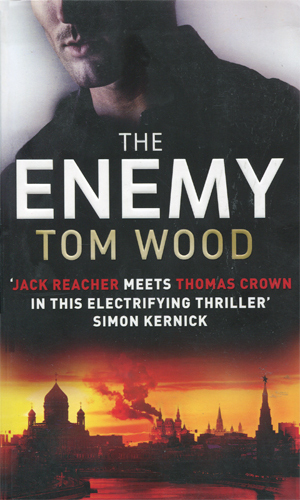 Now, he is forced to work with British Intelligence to take on a very powerful and very protected target. Worse, someone has put a bounty on Victor so he cannot be sure who to trust. 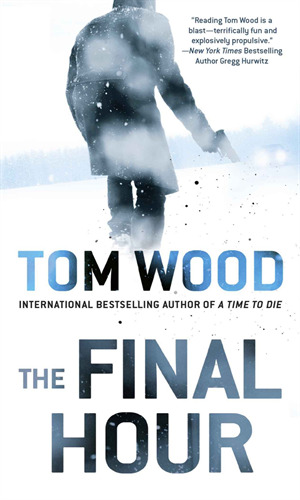 A high-ranking member of American Intelligence wants to see Victor eliminated and throws everything he has into it. Victor knows the best way to handle the situation is to die so he contacts a rival assassin, and old enemy, to do the job. Two sisters run rival drug cartels in Guatemala. The older, Heloise, wants the younger, Maria, dead and hires Victor to accomplish the task. He agrees with the stipulation there be no others hired. When Heloise breaks that promise, all bets are off. Victor is working for the CIA, a tenuous situation he does not much like. They have him in Berlin to take out a target but there seems to be someone else interested in the same man. Victor is in Bulgaria on the run from some very nasty people who had injured him already and want to finish the job. He should get out of the country but a young woman befriends him and he stops in a border town to help her, finding even more trouble there. This is a terrific series! I say that upfront on this rewrite of my comments to make sure no one misunderstands me. This is a great series. I had the opportunity to read the first book and did so with a good deal of enjoyment. My chance came, though, twice, first as The Hunter and then as The Killer since Amazon did not see fit to give enough information about the books to let anyone know that they were the same! Amazon even went so far as to give 2010 as one copyright and 2011 as another, lending credence to the belief they were different. Even worse, it lists another title, Codename Tesseact and make it sound like yet a third but it is not. Be warned. Grrrrr! 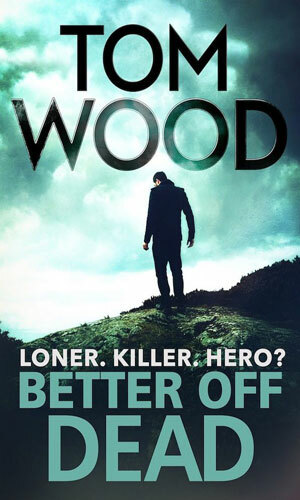 The first book is pretty good so I do not blame Mr. Wood, especially since it was not likely his fault :-). 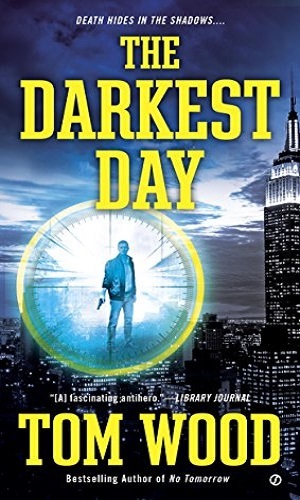 It has a ton of action, a good deal of spycraft, mystery, and suspense. The author does spend far too much time telling the reader over and over how careful Victor must be in everything he does to not be noticed and that repetition gets old quickly. The enjoyment does not wane, though, and I eventually grew inured. 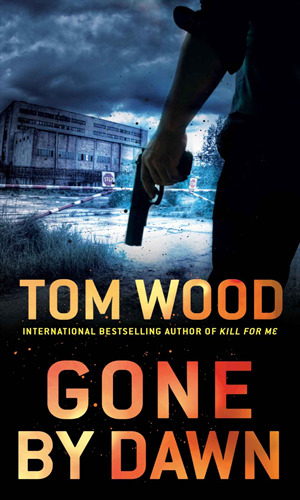 The second book has none of the annoying and all of the excitement and action that the first had and the story flew quickly and easily. Obviously the writer is just getting better as he writes. He has Victor being every bit as careful as he was in the first book and that is made hard because his CIA handler is pressing to throw off caution. I enjoyed the conflict a lot. Then came the novella and I loved it! Victor really grows on you and I desparately wanted more. The third book was INCREDIBLE! I was hooked immediately and had no wiggle room until the last word. A fellow fan compared Victor to Quiller and it is a very accurate comparison, except for Quiller not liking violence and Victor being an expert at it. The same tremendous attention to every detail of his life and operation, considering ramifications and alternatives instantly, the character is amazing but even better is the author who crafts the books. I raised the grade from A- to A. On to the fourth and my admiration has grown even more. Anything interrupting my enjoyment of this book got snapped at. A movie I really looked forward to came out and I held off going to it for two days to finish this book. I upped the grade to A+. Then the fifth and I was ecstatic! A series that couldn't get much better did just that. I listened to it on the way to and from work and sat in the car for a while longer because I could not press 'stop'. And then I read from the book in between trips. AWESOME! What an amazing series to enjoy. Thanks, Mr. Wood. Thank you so much! 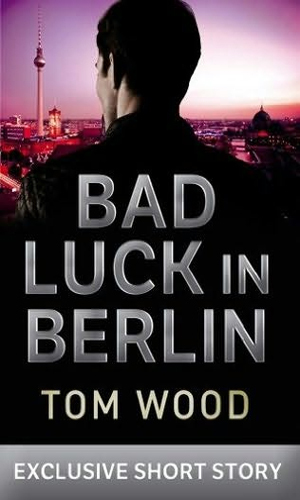 Try a short story in e-book, Bad Luck in Berlin. 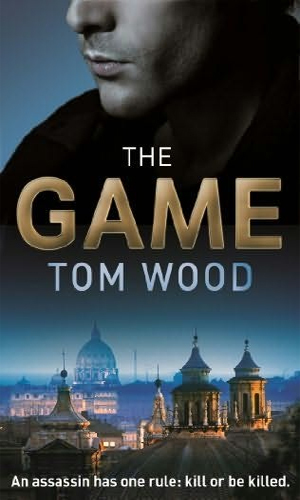 Also new book, The Game will be available on March 15th, 2013. Victor is a modern version of Quiller to me, though he is an assassin and not truly a spy. Very good description of trade craft and weapons through out all of the books. I enjoy the details.